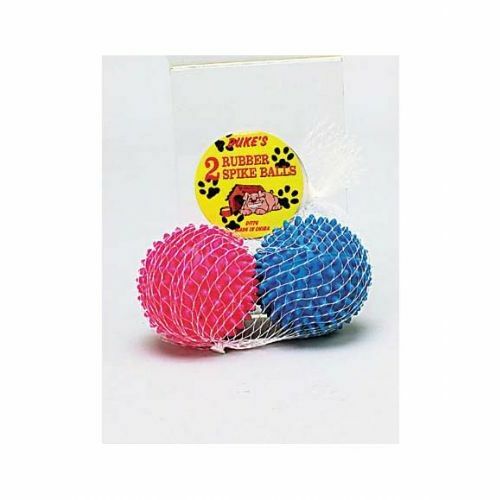 Perfect for playing and exercising pets, this 2-piece Rubber Spike Dog Balls Set features rubber balls with spikes that are soft yet sturdy and offer an easy grip for dogs teeth. Comes in assorted colors. Each ball measures approximately 3 in diameter. Comes packaged in a net bag with a hang tag.